An expert system able to converse and act in the capacity of ambassador. "Do you know what an emissarial projection is...? It's when they send a tuned suite of queries and responses to a remote location, by light beam. To play the part of an emissary." "...If we are to believe what we are told, the object they send is something like a library, transmitted by a signal laser. Suitably housed and emplaced within enabled equipment of sufficient capacity and complexity, this... entity, though it is simply a many-branched array of statements, questions and answers, with a set of rules governing the order in which they are expressed, is able to carry out what seems like an intelligent conversation. It is as close as one is allowed to to come to an artificial intelligence. From The Algebraist, by Iain M Banks. 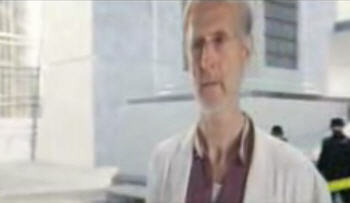 A much simpler use of this idea was used in the film I, Robot; Dr. Lanning creates a hologram controlled by simple rules to act as his representative after his death.